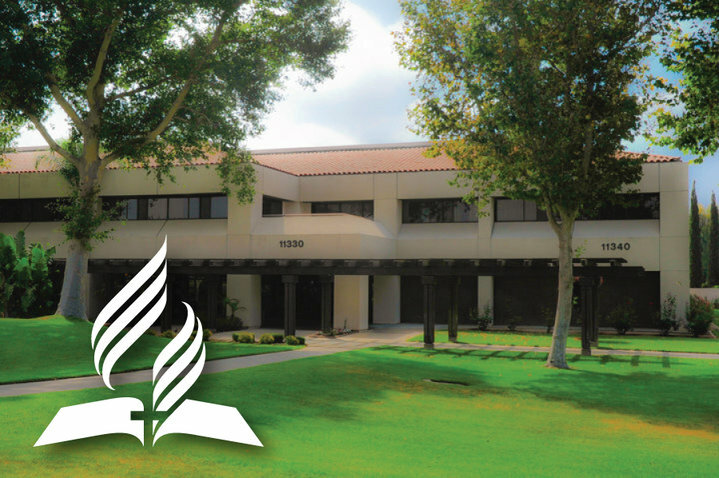 Editor’s Note: The Southeastern California Conference (SECC) of Seventh-day Adventists held its Constituency Meeting in Riverside, California on October 7, 2018. Read Lawrence T. Geraty’s first report here on Dr. Sandra Roberts, SECC incumbent president, being re-elected to another five-year term. Below is Geraty’s second report on the meeting. The business meeting was preceded by an inspiring worship service during which Dr. Kendra Haloviak Valentine gave a stirring and telling message, “Growing Together in Christ.” She started off by saying that what bothers her the most about Paul is not his attitude to women (surprise!) but rather how he could watch someone being stoned. Yes, she said, he was converted, but how much of the “old ways of thinking” stuck with him? We of course value his statements that indicate there should be no distinctions between male and female, that in the church there should be no hierarchy of humans — God’s grace has broken that all down. After retelling a time-honored illustration used by Dwight Moody about the watchman who waved his lantern before the conductor of an on-coming night train to keep the train from hurtling onto a broken bridge but in his panic failed to light the lantern before waving it, she said if you are talking about God without grace you’re waving a lamp without a light. Yes, God’s grace is amazing and God’s grace is the great equalizer. Paul comes to understand this after seeing the risen Christ and in his interactions with Gentiles. However, when he tries to appease the Jewish Christian leaders in Jerusalem (Acts 21:17ff), he acts against this conviction and his conscience in fulfilling a vow that requires him to go into the part of the temple where first Gentiles, and then women, were excluded. Rather than gain those “zealous for the law,” Paul’s actions put his own life and ministry in jeopardy, and his arrest will lead toward his eventual death in Rome. According to Ellen White in Acts of the Apostles, pages 405-406, Paul failed in this “conscience vs. compliance” moment. In other words, Paul was trying to appease the Christian leaders in Jerusalem in order to bring people to God, but instead hastened his own death by compromising God’s gospel of grace given to ALL people. Haloviak Valentine’s timely appeal: As we “grow together in Christ,” let us remember that people are longing for God’s grace. Therefore we need to wave the lamp of warning, but with the light of God’s grace. After Dr. Haloviak Valentine’s prayer, the delegates were bathed in the closing song, “Legacy of Faith,” sung by the mass choir from the Inland Empire Fil-Am Church. It was observed that seldom have that many Adventists gone to church Sunday morning and been so blessed in worship! Representing the nearly 70,000 members of the SECC (the largest in North America), the delegates involved in the session were 63% male and 37% female. In terms of age, only 19% were under the age of forty. The session was extremely well-organized with everything necessary to educate the delegates sent to them well ahead of the meeting. Some thirteen new congregations and companies were welcomed during the last five years to the conference. Since most reports were shared ahead of time, only a few brief reports were given at the session, mostly by professionally-done videos. Unlike its predecessor, this quinquennium’s financial report has been in the black ever since President Roberts took the helm. The audit firm gave the conference a clean opinion. Rather than “business as usual” the delegates learned of the conference’s focused strategic plan called “A Compass for Our Future,” including in sections called Engage, Evangelize, Educate, and Equip. The By-Laws Committee, chaired by Attorney Juliana Madison, recommended several minor changes, mostly to reflect current practice. Except for one recommendation involving nomenclature, all changes (requiring a two-thirds majority) were voted. Affirmation of the following departmental directors was done by ballot: Auditing, Faith Whitter; Communications, Enno Mueller; Disabilities, Elizer Sacay; Education Superintendent, Don Dudley; Human Resources, Gina Heslip; Information Technology, David Johnson; Ministerial, Ernest Furness; Planned Giving & Trust Services, Reyna Escobar. Several retirements were noted with tributes: Youth/Religious Liberty, Rudy Carrillo; Adult SS/ASI/Retirees, Mario Perez; Property Services/In-house Legal, Charles McKinstry; Community Services/Prison Ministries, George King; Commitment/Health Ministries, Brian Neal. Tribute was also paid to pastors and conference personnel who had passed away during the quinquennium. To sustained applause, it was noted that the General Conference is out of compliance with regard to Fundamental Belief Number 14 (especially with regard to differential treatment between male and female) and that this could be partially rectified if they would at least list the name of SECC’s President, Dr. Sandra Roberts, which for five years has been blank in the Adventist Yearbook. After constituents re-elected Sandra Roberts and the other personnel recommended by the Nominating Committee, the Prayer Ministry Team held a special dedication of the newly-elected leadership. In the chair for the Nominating Committee Report and voting was Dr. Ricardo Graham, the President of the Pacific Union Conference. The newly-reelected and popular conference president closed the business session with a beautiful message of appreciation to the delegates for the unity they demonstrated together with the evident blessing of God, their Leader. The delegates were encouraged to pick up their sack lunches on their way out at about 1:30 p.m. (the session had begun at 9 a.m.). The President of the North American Division, Elder Dan Jackson, was present along with some of his officers and the officers of the Pacific Union Conference, not to mention the presidents of our sister conferences, Southern California, and Nevada-Utah. While it had been rumored that the spirit of Silver Spring might be evident in the morning’s proceedings, thankfully that did not seem to be the case. Unity in Diversity prevailed without any heavy-handedness. Lawrence T. Geraty is President Emeritus of La Sierra University and a constituent of the Southeastern California Conference.